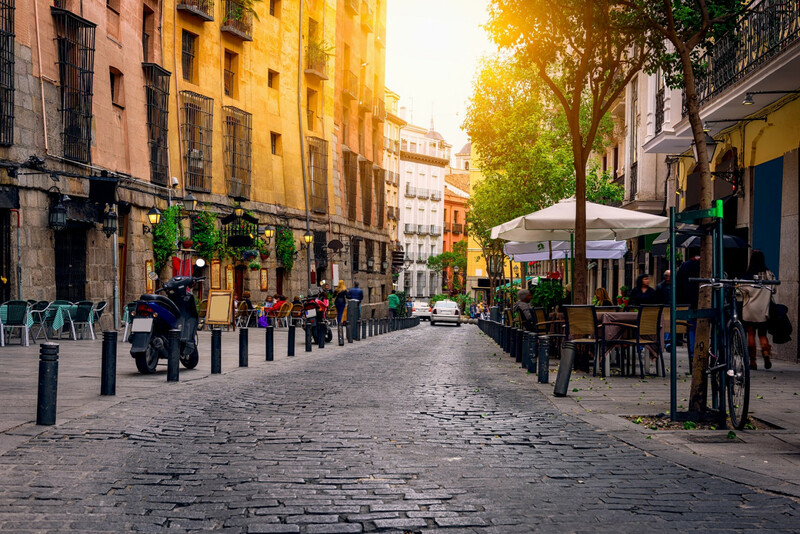 World tourism is going from strength to strength, but as the industry gathers in Madrid for one of its largest fairs, the negative impact of its success on local residents is in the spotlight. Chronic overcrowding in cities like Venice and Barcelona is sparking an angry backlash from locals, who complain that a surge in visitors is making life intolerable. Locals complain that home-sharing sites like Airbnb are driving up rents in picturesque city centres, forcing locals out, and they voice concerns over the environmental impact of cruise liners. "If there are too many people, if people don't want to come, if those who live here are upset and spend their days protesting, that affects us all. It is not sustainable," the head of Barcelona-based tourist firm Advanced Leisure Services, Angel Diaz, told AFP. The issue is a central focus at the Fitur international tourism fair, which got under way Wednesday in Madrid with 10,000 exhibitors and an expected 250,000 visitors. On the programme at the five-day event are several conferences dedicated to combatting overtourism and developing responsible, sustainable alternatives. The fair showcases a group of villages in Portugal that stage cultural events outside of the peak tourist season to avoid saturation in the summer. "Tourism brings great benefits. But the (local) community also has to receive those benefits," said Gloria Guevera, the head of the World Travel and Tourism Council (WTTC), which represents the private tourism sector globally. She cited examples of pro-active approaches to overtourism such as Croatia's walled medieval town of Dubrovnik, which staggers arrival times for cruise ships. Another is Amsterdam's smartphone app that allows tourists to check on queue lengths at the city's popular museums in real time so they can plan to avoid crowds. Barcelona's iconic Sagrada Familia church, the city's most visited tourist attraction, has also turned to technology to better control visitor flows to the site. Sensors were installed at the site in 2016 monitor mobile phone signals, allowing local officials to analyse the flow of people at church and then change visiting hours to the Sagrada Familia and introduce cheaper tickets during less busy hours. Fitur has set up an "observatory" of sustainable tourism called FiturNext to highlight such examples. "If we multiply the number of visitors by four and that's it, we are going nowhere," said Javier Creus of FiturNext. "It is not so much a question of saying 'come', but something between 'come back' and 'stay' because a tourist who wants to come back will want to preserve places," he added. The number of international tourist arrivals rose by six percent last year to hit a record 1.4 billion, according to an estimate published Monday by the World Tourism Organization. The WTO had forecast in 2010 that international tourist arrivals would not hit the 1.4 billion mark until 2020 -- but on Monday it said that stronger economic growth, more affordable air travel and easier visa regimes around the world had boosted the market. The Madrid-based UN body may now revise upwards its forecast of 1.8 billion international tourist arrivals in 2030, WTO secretary-general Zurab Pololikashvili said Monday. Mayors from Spanish seaside resorts which have become symbols of mass tourism such as Benidorm -- famous for its stretch of beachfront high-rises -- will gather at a roundtable on Thursday to discuss responsible tourism and ways to avoid overburdening locals. "Without a doubt, there is a change. We have never talked so much about too much tourism," Claudio Milano, an anthropologist and lecturer at Barcelona's Ostelea School of Tourism, told AFP. Tourism accounts for 10.4 percent of global GDP, and for one in 10 of all jobs on the planet, according to the WTTC.